SaveBAREC.org - Keep Public Land Public! 1. Kirk clarified the Public Works statement about costs for the development (not revenue as previously stated) by displaying the Agenda Report from November 11, 2008 showing that: "There will be additional cost to the City for providing services to the added residential units that will not be completely offset by additional tax revenue." This directly conflicts with the statement put out by the SummerHill and the Developers (in fact they campaigned on this) saying, "[the Development] creates an annual revenue surplus of approximately $73,000." Just another one of dozens of examples where SummerHill skillfully misled the public to win the vote. 3. Requested clarification from the City Manager since she stated all the money needed for the housing development is available today and the Mercury News stated: "The builders of the senior project, Charities Housing and Santa Clara Methodist Foundation, will have to apply and compete with other nonprofits for the dwindling affordable housing funds." The City Manager and Director of Public Works were pretty much non-responsive to the question of cost to the City. The City Manager did say that all the money for the Senior Housing portion is available and the above statement did not apply to this matter. Kirk sent a follow-up email to the City Council and City Manager asking again: How much will the development cost the City? No response to date. SummerHill has started the process of grading the land. Here are a couple of pics: Pic1, Pic2, Pic3, Pic4. 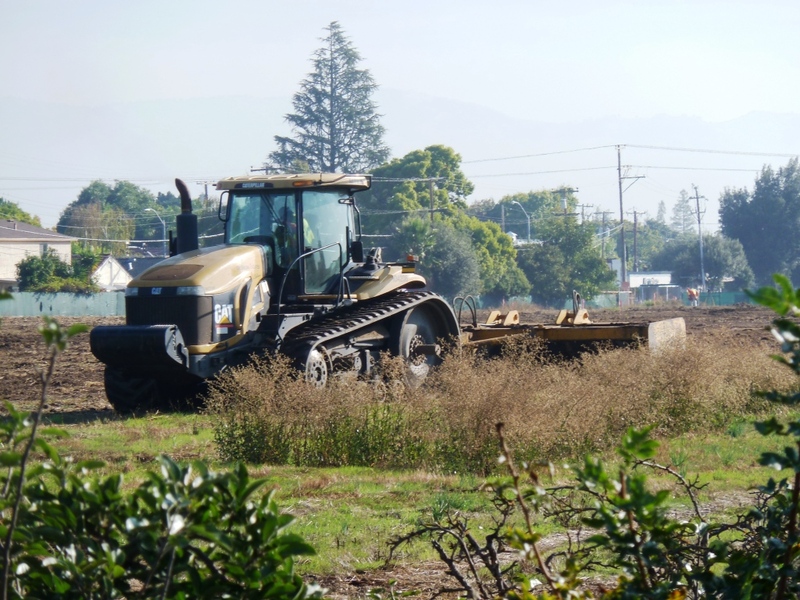 Video of SummerHill's destruction vehicles, making the last farmland in Santa Clara extinct. - The San Jose Mercury News publishes an article on Oct 4, 2011. - On September 27, 2011, the following 2-minute video was presented to the Santa Clara City Council. Also, the following document was submitted to the record. Basically, it states that the two developments do not address current trends/needs, better solutions exist, and for SummerHill Homes to come up with a price to sell the land. It asks for the opportunity to buy the land from SummerHill. 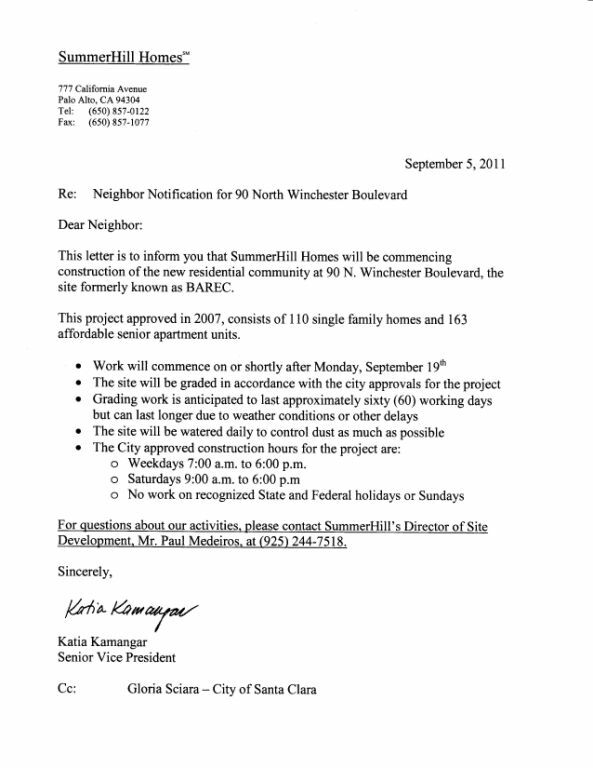 - SummerHill sent a letter out to the neighborhood that they plan on beginning the grading process on the property as early as Monday, September 19, 2011. - Based on a written petition filed with the City of Santa Clara this week, the City Council WILL have an agenda item for Tuesday, September 27, 2011. It is Item 7a. Here is the Agenda Report. Additional clarification comments/requests were made. 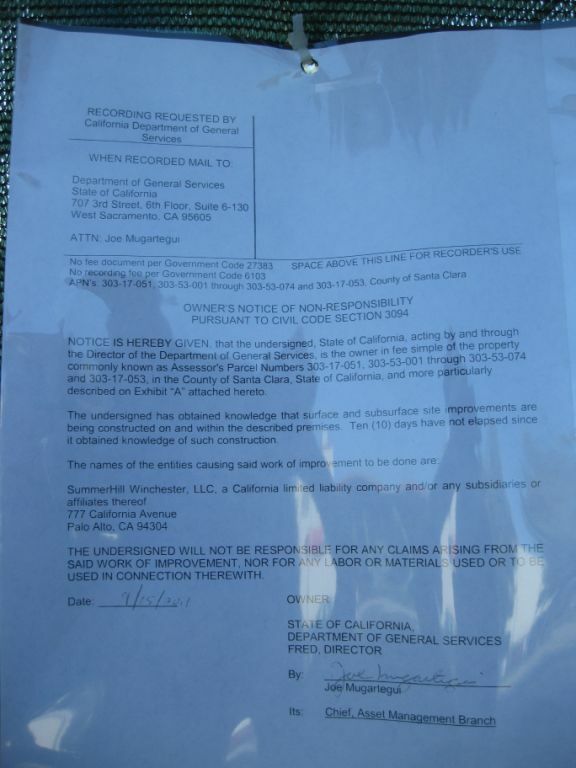 - On Friday, September 16, 2011, someone from the Department of General Services posted a Notice of Non-Responsibility for work that SummerHill is planning on doing. Page 1. Page 2. There is a City Council meeting on Tuesday, September 20, 2011 (this Tuesday). If anyone wants to share their opinions, they can do so during the Public Comment period only (since it is not on the agenda). The council is not obligated to speak to any comments (and usually do not). SaveBAREC appeals the CEQA case. Conrad, of the Silicon Valley Business Journal, writes that SummerHill optimistically stated it could delay the development up to a year. We are going for a bit longer than that. See the article here. Other sources are now picking up this story. KLIV ran this story. The CEQA lawsuit is filed against the City of Santa Clara and all interested parties (the developers and the State) for approving a faulty EIR (Environmental Impact Report). Unfortunately for everyone, the vote was lost by SummerHill's $900,000+ deceitful campaign. Additionally, the CEQA Lawsuit was denied by the judge. We will keep you posted on additional updates. In a completely seperate legal claim, a lawsuit is being filed by the residents surrounding BAREC against the State of California, the UC Board of Regents, the California Department of General Services, and others. The Santa Clara Weekly wrote this story. The remainder of this site is preserved for historical purposes. It is not being updated at this time. Well, we did it!!!! We got the needed valid signatures in three weeks!!! We averaged almost 2,000 signatures a week for three weeks (actually 4,000 signatures a week since there were two petitions) for a total of more than 12,000 signatures! The City Council voted unanimously to put the two measures on the ballot on February 5, 2008 for you to vote on. Thank you! SaveBAREC at Full Circle Farm, Sunnyvale, groundbreaking celebration - September 27, 2007! Click here to see photos of our booth and click here to see the Full Circle Farm site. SaveBAREC held its Board of Directors elections on October 11, 2007 at 6:30pm. A short video clip that ABC 7 News ran on Wednesday, July 18, 2007. Click here. On August 22, 2007, NBC11 interviewed Sharon McCray, the BAREC historian and former employee for UC at BAREC about the history and future opportunities for the property. 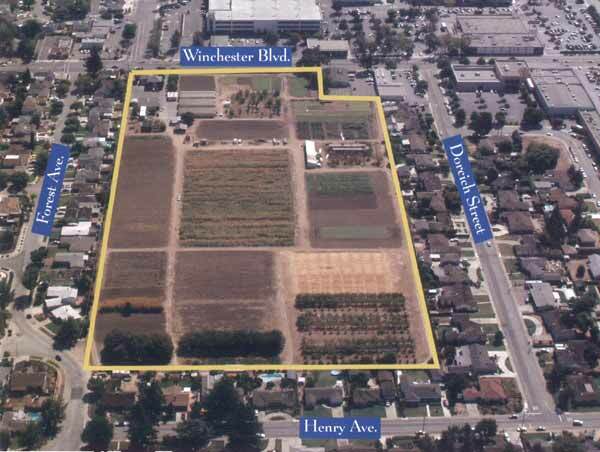 June 20, 2007 - Santa Clara Council Approves Housing Project for Its Last Farmland. Click here. 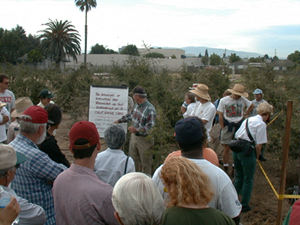 June 21, 2007 - Activists Lose Battle for Santa Clara's Last Farmland. Click here. 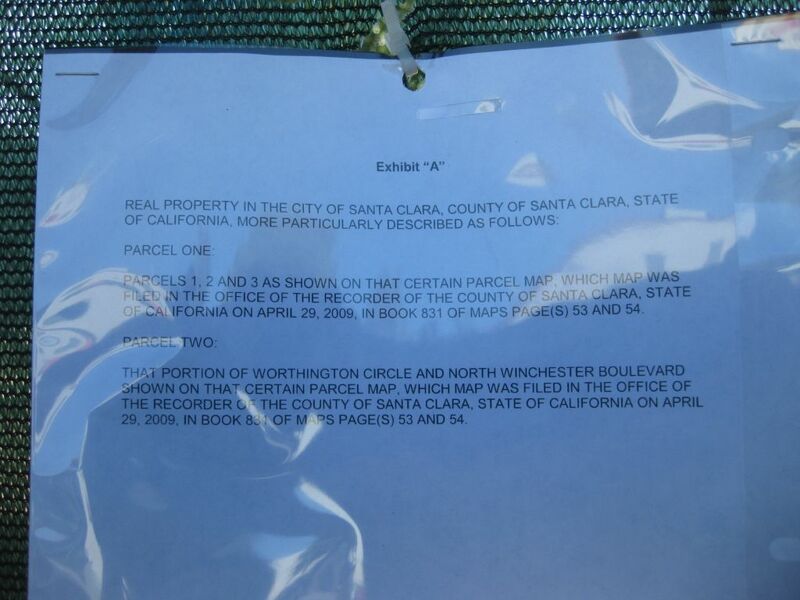 July 2, 2007 - Santa Clara Zoning Dispute Begets Petition. Click here. July 19, 2007 - Open Space Advocates Turn in Signatures. Click here. 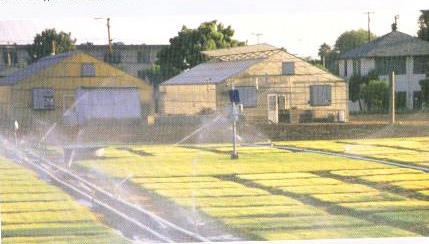 July 27, 2007 - Former Farm Site Project on Ballot. Click here. July 29, 2007 - Internal Affairs - Bribery?. Click here. August 14, 2007 - Santa Clara activists sue to stop housing near Valley Fair. Click here. June 21, 2007 - Council Votes to Go Ahead with Development Plan. Click here. July 25, 2007 - BAREC Dispute May be Headed to Voters. Click here. July 27, 2007 - BAREC Question Headed to Voters. Click here. August 1, 2007 - BAREC Question Likely Headed to Voters. Click here. September 5, 2007 - Former Council Member Asks SaveBAREC "Where's the Beef?". Click here. 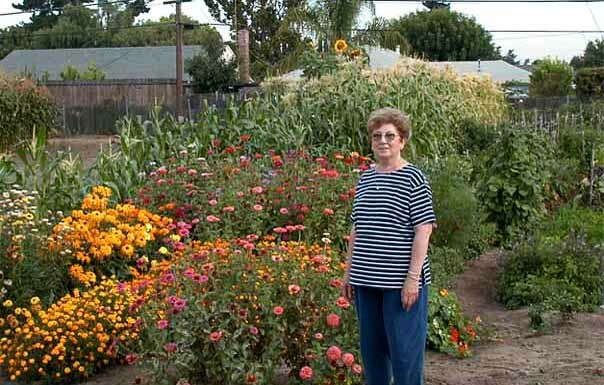 July 25, 2007 - Hot Zone - Santa Clara residents have a different reason for opposing development in their back yards—they say it's a toxic disaster. Click here. August 8, 2007, - The Fly - Report on success of petition drive. Click here. June 29, 2007 - Group submits petition to reverse the rezoning of BAREC site. Click here. 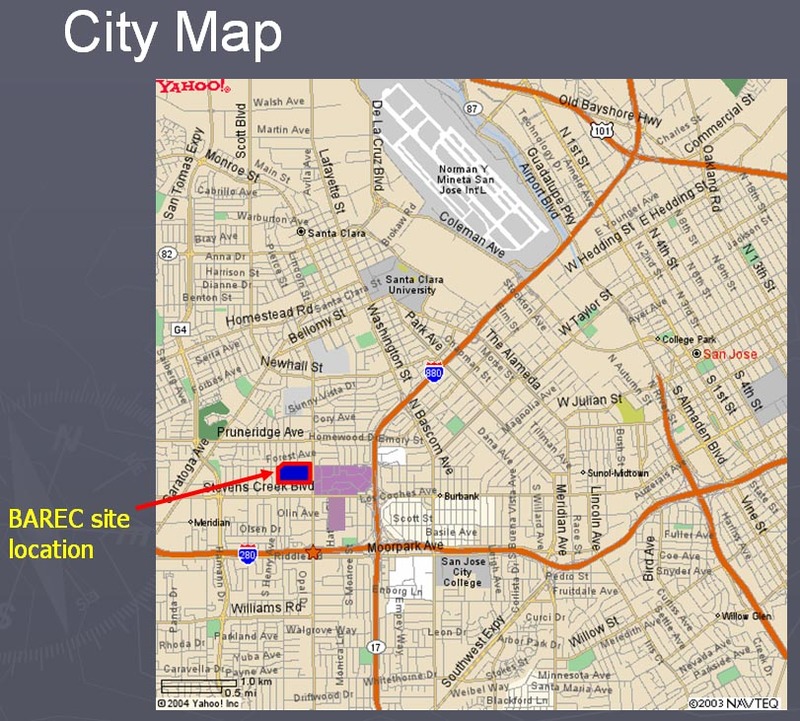 July 27, 2007 - Open space activists plan to stop approved rezoning of BAREC site. Click here. Press Conference, Wednesday, July 18 2007 announcing our successful submission of over 12,000 signatures to the Santa Clara City Clerk. Here are the statements from O'Neill, Vartan, and McCray read to the press. Press Conference, Friday, July 27, 2007 announcing the validated referendum petitions. Here is the statement read to the press. Santa Clara City Council unanimously agrees to place the referendum resolutions on the ballot on February 5, 2007. See our press release and statement. THANK YOU AGAIN FOR ALL YOUR SUPPORT!!! Visit www.NotCaserta.org for Caserta info. The City Council has not listened to its voters and now it is time to take the control away from them on this important decision. Councilman Dominic Caserta, who is now running for State Assembly, was a strong supporter of BAREC's preservation during his reelection campaign. Yet, when it came time to vote, he followed his fellow council members all the way, going against all promises and statements about supporting the community and SaveBAREC. See his campaign comments here. The real work now begins. 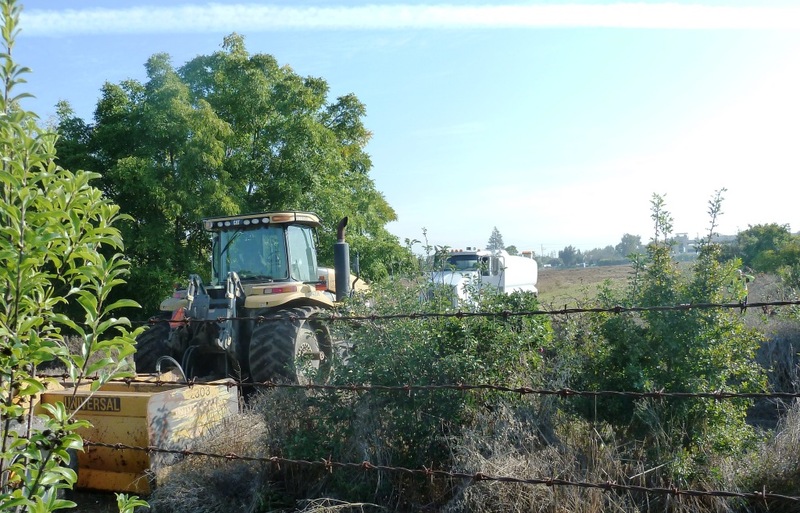 Our Mission: To keep this 17 acre agricultural piece of public land public. Additionally, we believe an educational, urban farm would best benefit the public and provide a financially sustainable way to preserve the land in open space forever. Please email us if you want to get on our mailing list: mailing-list@savebarec.org. - Read the October 19, 2005 Silicon Valley Metro cover story Secret Gardens describing the political issues and views on BAREC. 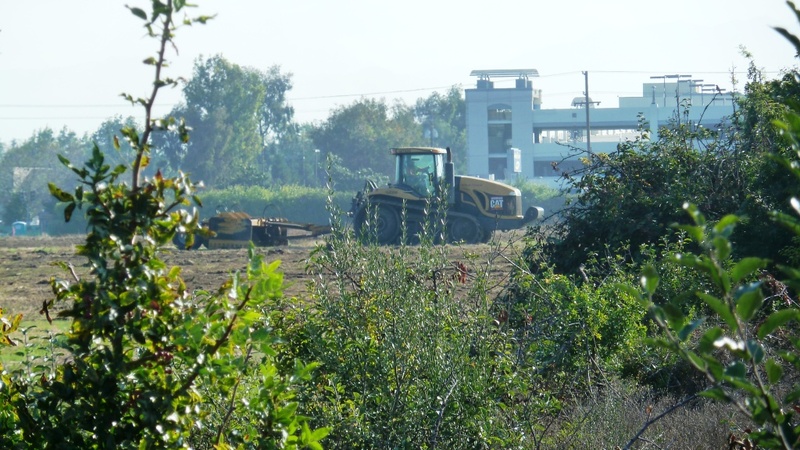 - Read the October 20, 2005 Rose Garden Resident cover story Fate of the former UC agricultural station rests in hands of Santa Clara City Council describing the many views on the status of BAREC. You'll see how many issues there are and why this land is so important. - Read the Santa Clara Weekly cover story on BAREC. Click here [1MB] for story. - Read the San José Mercury News article with some very powerful quotes showing support for alternative ideas entitled: Last Ditch Effort to Turn Back the Clock. - The Fall/Winter 2005 issue [700KB] of Preservation Action Council of San Jose (PAC*SJ) news letter features BAREC as well as a follow-up article in the current Spring 2006 issue [500KB]. - Anna Werner from CBS 5 Investigates does a story about the toxins on BAREC on June 19, 2006 at 11pm. Click here. - SaveBAREC was on the ABC 7 News program at 6:00pm on November 9, 2005. Have a look at the video [2MB] and the pictures. Please view a concept we have for how this land can be used (i.e., organic, urban agriculture) based on what UC Santa Cruz has done with their financially stable, self sustaining, and income generating Center for Agroecology and Sustainable Food Systems (CASFS) program, including their children's Life Labs area.What we are suggesting is already proven to be successful: The Center of Urban Agriculture: an organic farm in the middle of dense urban living: Fairview Gardens. See what the State wants to do with the land here. Propaganda mailing sent to Santa Clara citizens in hopes to gather support for the housing project. Click here [2MB] to see. Yet another propaganda mailing [2MB] from SummerHill in June 2007. It even has the person that had the van towed...John Conley. I guess he is on SummerHill's payroll. Rumor has it he is getting a custom pool cover for his pond/pool in his back yard. Click here [2MB] to see. SummerHill states that with all the taxes from the housing sold, the City of Santa Clara will collect "an annual revenue surplus of approximately $73,000." Click here to see their letter (page 2 has the quote). Why, you ask? Because the cost of the infrastructure and public services/utilities costs a lot of money. This is also confirmed by the prior Director of Planning for the City of Santa Clara, Geoff Goodfellow. Is it worth $73,000 a year to destroy the last 17 acres of open space? 1. The current Draft Environmental Impact Report (DEIR) is inadequate and does not include all of BAREC's history (unanimous). Go to our web page that puts most of the relevant past City Council meetings on one page. Click here to see it. June 13 , 2007: Metro Active posts Legislative Summit meeting to take place at Valley Village at 10am on Sat. June 16. April 25 , 2007: Kathryn Mathewson will be interviewed about the current BAREC issues on Public Radio station KKUP 91.5 at 7am. Call in questions at 408-260-2999. February 8, 2007: Full Circle Farm is voted on and accepted. 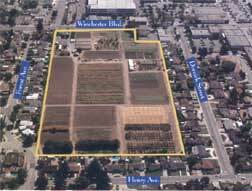 An organic urban farm is coming to Sunnyvale! Santa Clara Unified School District supports this fully. This is very similar to what we are proposing for BAREC. The community is now coming around to this! December 28, 2006: BAREC on Environmental Concerns program. Linda Perrine and Kirk Vartan are guests on the show. Hear what the current status of BAREC is and what we are doing. Click here to view (28 min). 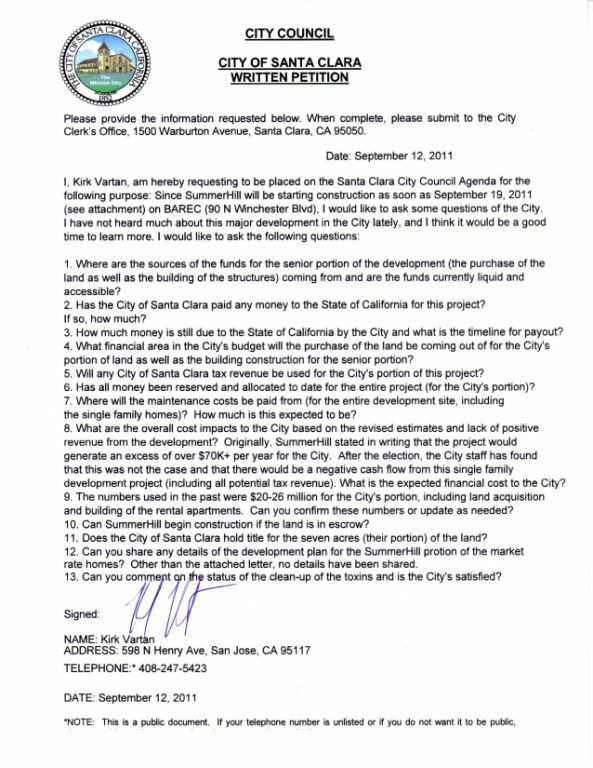 October 25, 2006: Santa Clara Weekly publishes NIMBY response from SaveBAREC member Kirk Vartan. Click here. See the original NIMBY article here from Scott. 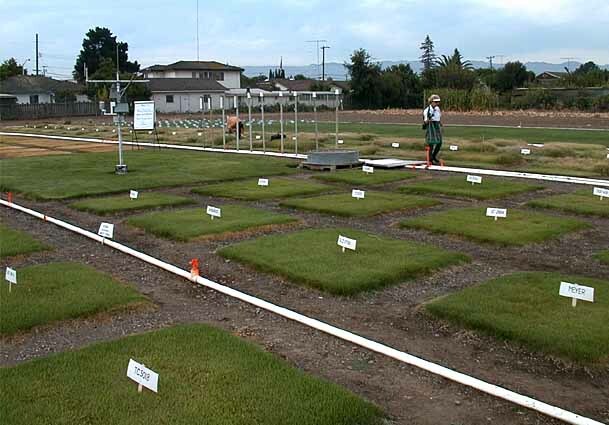 September 20, 2006: Letters from experts and Societies on why BAREC is an historical resource. Click here. Aug 15-Sept 2, 2006: Migrating Canadian Geese use BAREC as a landing pad. See the video here. 100s land every day. August 20, 2006: The SJ Mercury News awards SaveBAREC.org the Grand Prize for NIMBY. Click here to see it. Scott Herhold wrote this and we encourage you to write him. He really needs a reality check. June 19, 2006: Anna Werner from CBS 5 Investigates does a story about the toxins on BAREC. Click here. May 13, 2006: SJ Mercury, The Valley section, Julie Patel's article entitled: Last Ditch Effort to Turn Back the Clock. May 9, 2006: City of Santa Clara has moved the date of the next public meeting to August/September 2006. May 3, 2006: Silicon Valley Metro article on SaveBAREC support, activities, and updates. Click here for story. April 12, 2006: Santa Clara Weekly does a cover story on BAREC. Click here [1MB] for story. April 6, 2006: Historical and Landmarks Commission votes down the motion to approve the History and Cultural Resources section of the Draft EIR in a 5-2 vote! Great job! See the update in the SJ Mercury, Bay Area News in Brief. April 2, 2006, 12:00-5:00pm - Successful Rally at the BAREC site. See pictures here. - The public comment period for the Draft EIR and Draft RAW has closed. The next public event (besides regular City Council meetings has been delayed until August/September). Please click here. While the public comment period is officially closed, you can still send in letters and comments to the City of Santa Clara. See the sample letters you can send. - For sample letters you can send in to the politicians and agencies on EIR and RAW, please click here.See the timeline below. The BAREC Recirculated Draft EIR is released. The documents are online (click here). Copies are available at the library. Public comments can be made at any time. The State of California is selling this 17 acres dedicated to public service since the 1800s. The land is considered the State's leader in rural/urban issues: health, the environment, sustainability, recycling, and pollution prevention. See Map for exact location, in the city of Santa Clara on North Winchester Blvd. across from Valley Fair, bounded on two sides with San José. This web site is dedicated to support the preservation of this unique land and to provide solutions for sustainable urban agriculture. If you want to help, please contact us. In 2003, the State decided to sell the property for housing development. If sold to developers, much of the land will be turned into medium-density housing (up to 11-27+ units per acre). This is in stark contrast to the 5-7 units per acre in the surrounding neighborhood. Dumping public land to private developers is a betrayal of what our government represents. If this land is sold, many programs to improve our community will never return.The San José Parks and Recreation Commission is completely in favor of keeping the entire space an open-space. See their letter. The land is considered the State's leader in rural and urban issues. This includes health and the environment, sustaining and maintaining land, recycling, and pollution prevention. This land can provide leadership in sustainable living. Learn more about BAREC, including information regarding the issues involved with saving BAREC, and how you can help. Thank you for your time and support! Visit www.NorthOfForest.org for information about the North of Forest neighborhood. For comments or questions, please email us at: info@savebarec.org.